Please Note: When you recieve your tags, please match up the heard number on the tag to the herd number on the bull for application. Please feel free to contact our office with any questions. Starting with 2010 Born Bulls, if a bull is registered in the birth year, the breeder may purchase an EID tag at the time of registration. Starting April 1st, for 2010 bulls that have been registered in 2010 an EID tag may be purchased for the bull by July 31st, 2011. 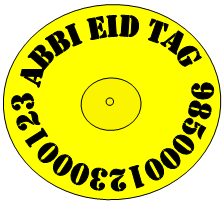 If an EID tag is requested from the ABBI office by the deadline for 2010 bulls or at the time of birth year registration for 2011 and beyond, age certification will not be required. If a 2011 born bull has been registered prior to April 1st, 2011, the EID tag must also be requested by July 31st, 2011. Tags may be ordered on-line with a credit card by logging into your members area, or you may send in an order form to the office. Below is a guide to assist you with the transition to the new process. When was the bull born? Bulls continue to be required to be Age Certified and EID Tagged by Certified Veterinarian according to the listed guidlines in the Rule Book. NOT Registered in 2010 Bulls may be Age Certified by a Certified Veterinarian according to the listed guidelines in the Rule Book. The veterinarian submits the age certification to the ABBI office with an EID tag request. The age certification will be reviewed and then the ABBI office will issue the EID tag to the vet for placement. An EID tag may be requested from the ABBI office by submitting a DNA sample (Blood Card or Tail Hair) for comparison. 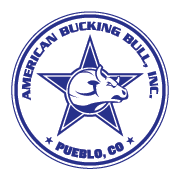 Bulls may be Age Certified by a Certified Veterinarian according to the listed guidelines in the Rule Book. The veterinarian submits the age certification to the ABBI office with an EID tag request. The age certification will be reviewed and then the ABBI office will issue the EID tag to the vet for placement. Registered in Birth Year Must purchase an EID tag at the time of Registration for all potential competitors. 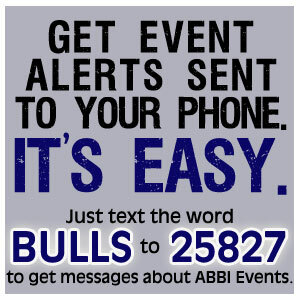 *ABBI reserves the right to age verify and/or collect a DNA sample from any bull at any event. A copy of the original Age Certification labeled Retag must be submitted with the new EID tag number from a Certified Vet. Tail Hair must be submitted with a Retag Request Form and $40.00 fee.